Most travertines, marbles, and granites are available to be finished in honed, polished, sawn, grooved, sandblasted, and hammered. 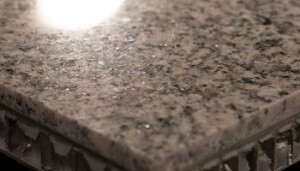 Most granites are also available in a flamed finish. A polished finish is a smooth, reflective finish. It is one of the most common finishes because it brings out the rich colors and enhances the stone’s natural veining, pattern, and beauty. 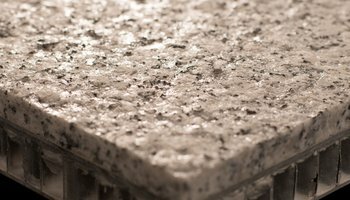 A honed finish is smooth like a polished finish but is non-reflective and lighter in color. This finish brings out the natural colors, veining, and pattern of the stone. A flamed finish is used mostly on certain types of granite. It gives the granite a rough finish that highlights the crystals and makes them sparkle. 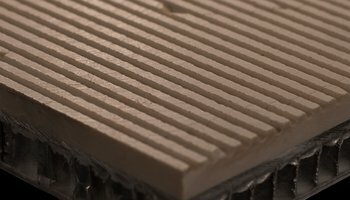 A grooved finish is a stone that has parallel grooves sawn into the face. A sandblasted finish has a light sand texture on the face. 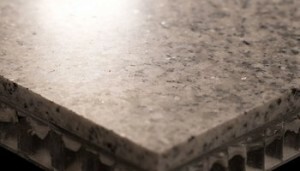 A hammered finish is a stone face that has been lightly beaten. 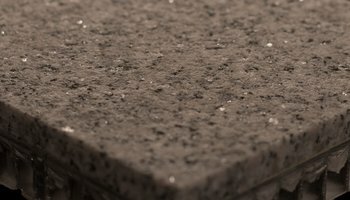 A thicker stone face may be necessary to achieve this texture. StonePly exclusively offers a pinstriped finish. Parallel alternating polished stripes and sawn grooves are ‘pinstriped’ on the stone’s face. StonePly can also custom finish most stone faces on request. A fee may apply. For a complete list of finishes please visit our finish options page.